Scotch thistle is a biennial that grows up to 12 feet tall. The leaves are large, spiny, and covered with fine dense hair, giving them a grayish appearance. Upper leaves are alternate and coarsely lobed; basal leaves may be up to 2 feet long and 1 foot wide. The stems have broad, spiny wings. 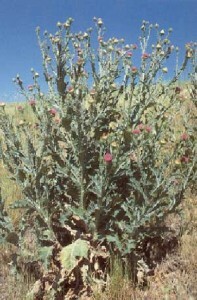 Flower heads are numerous, 1 to 2 inches in diameter, and have spine-tipped bracts. Flowers are violet to reddish; fruits are about 3/16 inch long and tipped with slender bristles. 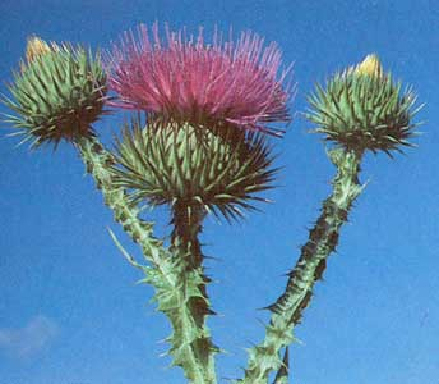 Scotch thistle is a native of Europe and western Asia and now infests many western states. 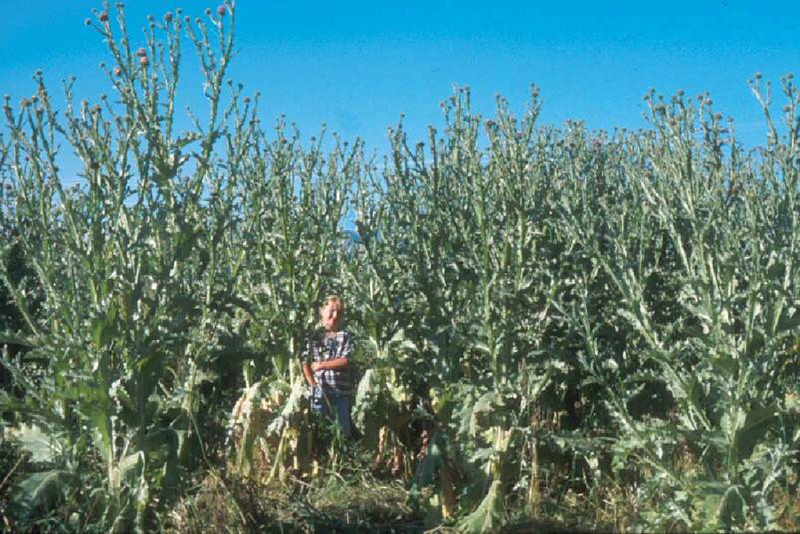 It is an aggressive plant and may form stands so dense that they are impenetrable to livestock. 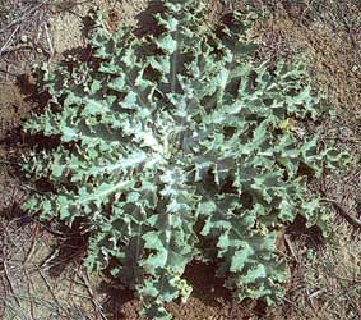 Scotch thistle is best controlled in the rosette stage.